When it comes to school buses, any improvement in efficiency can make a big difference. Our Saf-T-Liner® EFX has plenty of examples. First, it has seating for up to 90 passengers and a wider loading aisle, providing tremendous flexibility for whatever the school year brings. The cockpit is designed for driver comfort and safety, with ample leg room and optimized access to controls. It also offers better visibility and easier steering. And our engine cover allows quick, tool-free access to the engine, fluids and belts, keeping routine maintenance time to a minimum. 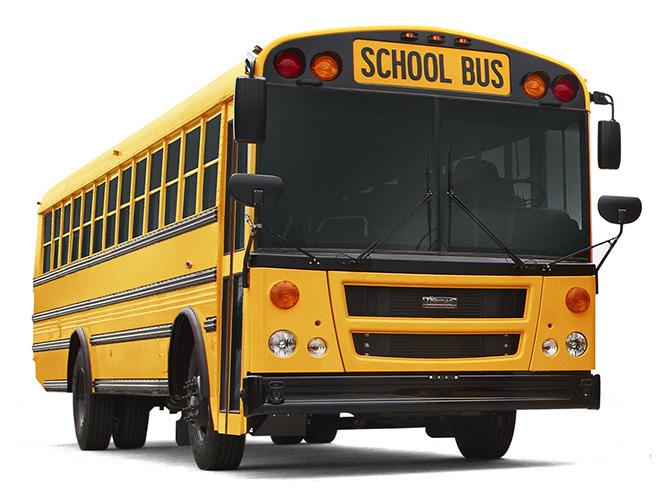 The Saf-T-Liner® EFX is a front-engine, transit-style school bus designed to provide excellent value for customers. Thomas Built listens to drivers, mechanics and transportation directors to help us develop better buses. And with one of the most extensive dealer networks in the industry, there’s always support nearby when you need it.